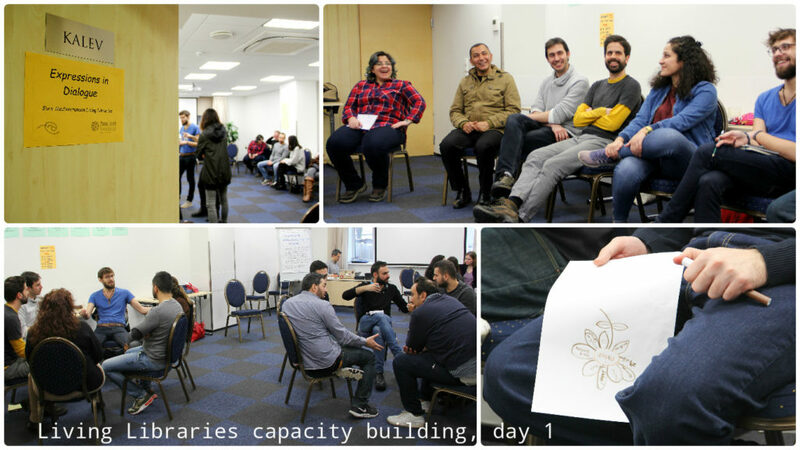 This is the first post of of reporting and sharing the day-by-day from the Capacity Building training – lasting 19-26th of February and taking place in Tallinn. 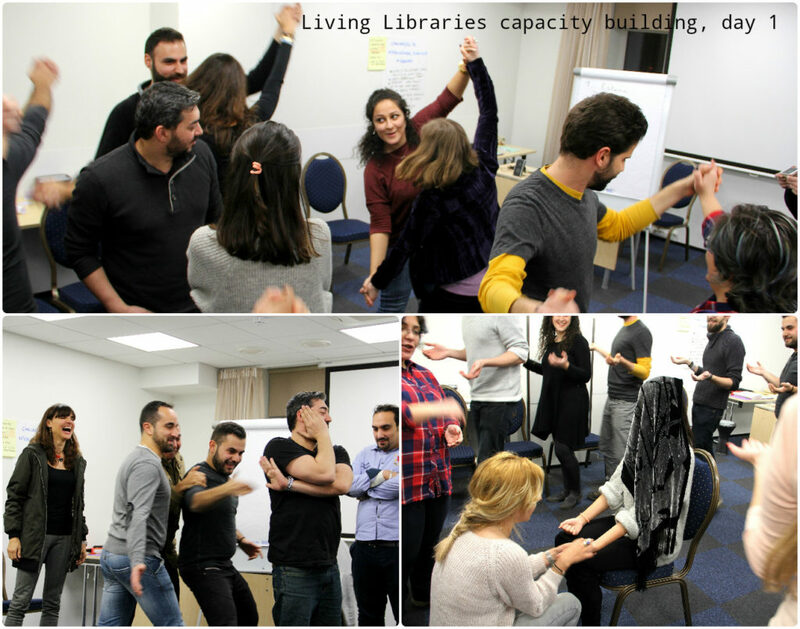 In the previous posts you may read about the Project “Expressions in Dialogue”, in which frames this training is taking place. The morning 20th February, greeted the group with slow snow-fall, which we could observe in the yard from the windows in the plenary-room called Kalev (after the great Estonian epic hero). What is the cultural diversity in participants’ context; which groups can be identified? Are there any conflicts? What kind? The groups that are excluded. Are there levels/double standards of citizens? Is discrimination/exclusion recognized officially/by the state? What is done by the state? Freedoms vs. right of expression/opinion/security. By the evening the theme of Identity was on stake. Who are I? Identity is unique, complex, dynamic, relative and socially constructed. And people are multicultural entities with common humanity, that everyone shares and that lays at the basis of the concept of Human Rights. But we have sense of belonging to social groups, which is a natural and is based on common/shared parts of identity and culture. We are all human beings sharing the same sufferings, concerns, feelings and love. Learnt about Identity; challenges of people; onion model of identity. Identity model of onion. Learning is an never ending process; the de-construction of self has started. The Identity is not that easy to identify. We learnt about the added value of difference. Identity, Human Rights, discrimination. How to organize video; being a team-member. Multiple belongings interact with each other in a changing way, according to the context. I have many questions to be answered. I reflected about the Individuality vs. social relations. The day ended up with the Euro-Mediterranean evening full of stories, presentations, dances and some eatable and drinkable elements from our regions to taste. The last survivals left the intercultural party very late.